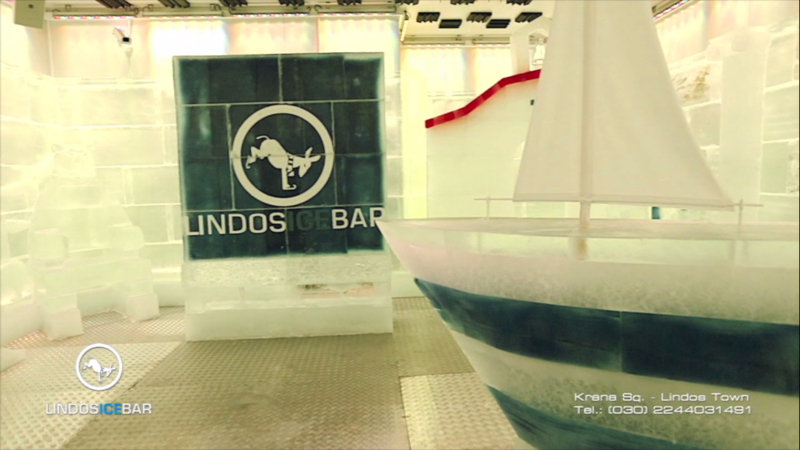 With an ambient temperature of minus six degrees Celsius, Lindos Ice Bar is the ultimate place to chill-out and offers an exhilarating atmosphere and a refreshing change to the hot and humid outdoor temperature. 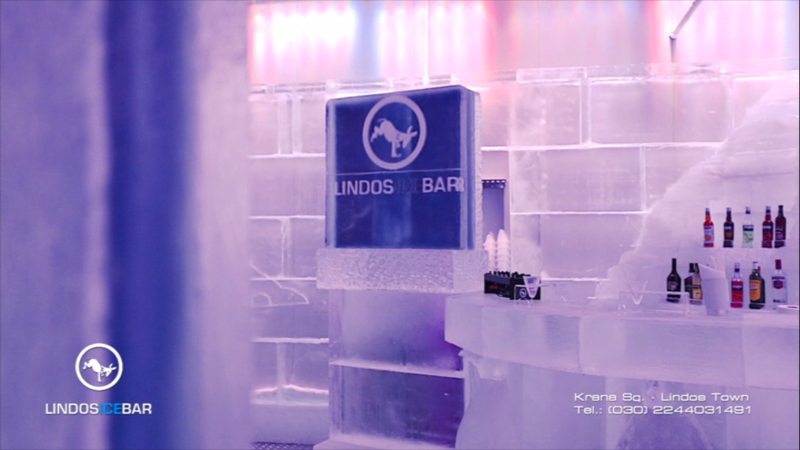 A truly unforgettable experience, the walls, bar, sculptures and seats are made entirely of ice. Even the glasses you drink from. 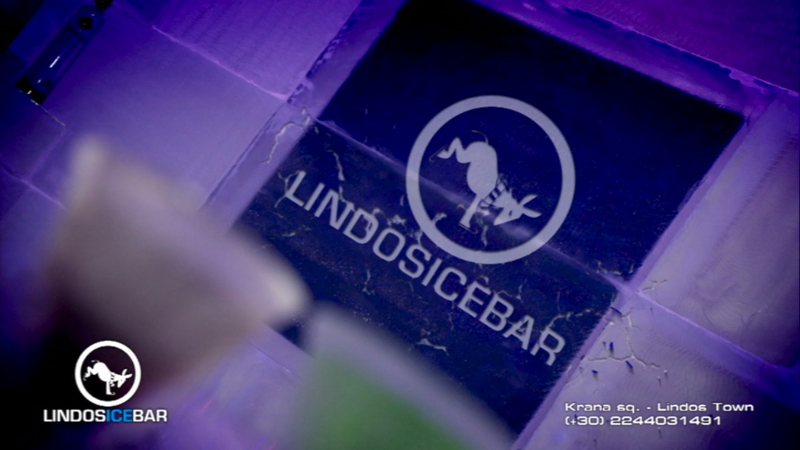 Party till you drop, relax on the ice sculptured sofa or admire the incredible art. The Choice is yours. 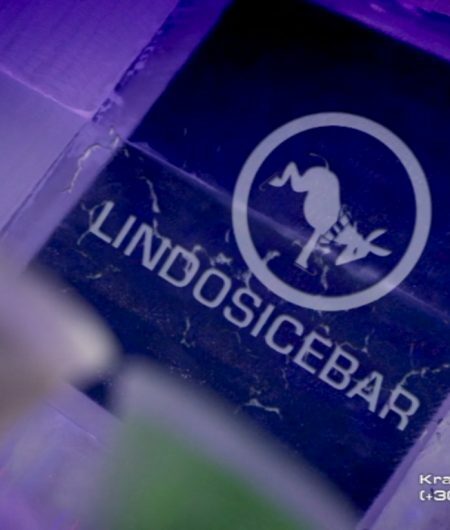 Lindos Ice Bar resonates with music throughout, from relaxing tunes and beats early on, to the latest vibes and sounds into the early hours. The entire space is backlit by an atmospheric LED lighting system that provides the full color spectrum. Not to mention our cocktail lounge where you can sit back and chill out while watching sporting events or listening to music and our restaurant that offers not only traditional Greek cuisine but also a new and innovative Mediterranean menu.